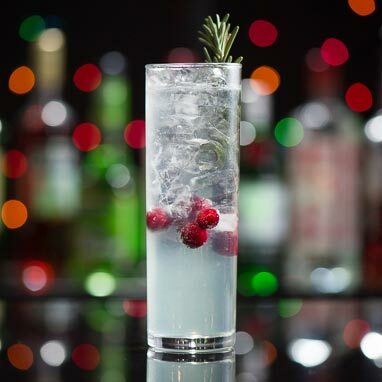 This beautiful cocktail embodies the feeling of a winter wonderland. It’s as lovely to look at is it is to drink. Smooth and subtle in its flavors and beautifully garnished with fresh cranberries so and a rosemary sprig, it's a wonderful holiday gift for your eyes, nose, and palette.